The New Orleans’ NDRC plan “Reshaping the Urban Delta” proposes robust city structures and water infrastructure, which are crucial for the city’s survival and economic prosperity. The plan will be implemented in the Gentilly district before being scaled up to cover all of New Orleans. Dutch and American (hydro) geologists are assisting The City’s Office of Resilience and Sustainability by mapping the underground. They will start this week, by taking 75 boreholes in the city. During the week November 11th – November 17th more than 75 shallow (9-15 feet) boreholes will be executed. The overall objective is to determine the impact of groundwater dynamics, loading (weight of overburden) and subsurface composition on subsidence. The boreholes are distributed over the city. 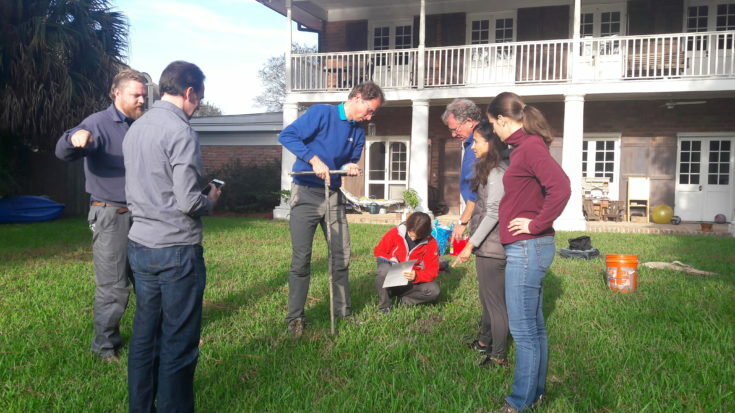 Three teams of (hydro) geologists from Deltares, the Water Institute and Tulane University are working every day. At the end of each day results will be discussed and soil samples will be analysed at the geological lab of Tulane. The groundwater levels of New Orleans has never been mapped before. By taking these boreholes, new information will arise that will be used for an urban open geology and groundwater database; a groundwater level map that shows the shallow drainage depth in New Orleans; a map with groundwater level contours and flow directions of shallow groundwater; organic matter content map of the shallow surface of New Orleans; indications for potential subsidence vulnerability and maps of different groundwater management scenarios. Determination mean of the lowest groundwater level (MLG), based on soil characteristics. MLG is one of the indications for subsidence vulnerability. 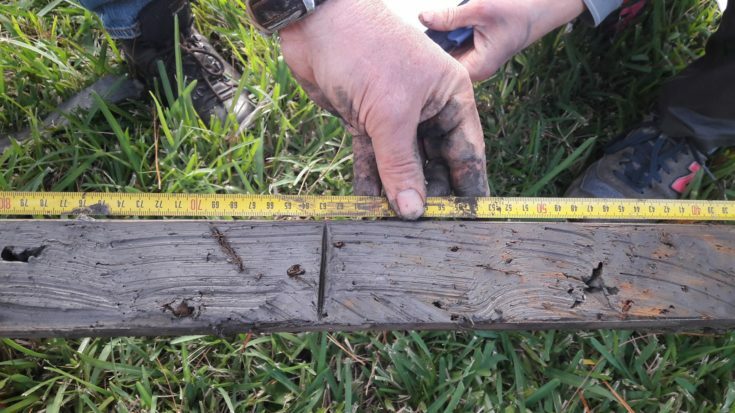 The goal of this field research is to map and classify shallow subsidence vulnerability and also to estimate future maximum shallow subsidence due to drainage. Thirdly, the results will be used to support planning and asset management (underground pipes and infrastructure). All data sets and maps will be explained during a stakeholder workshop end of January. 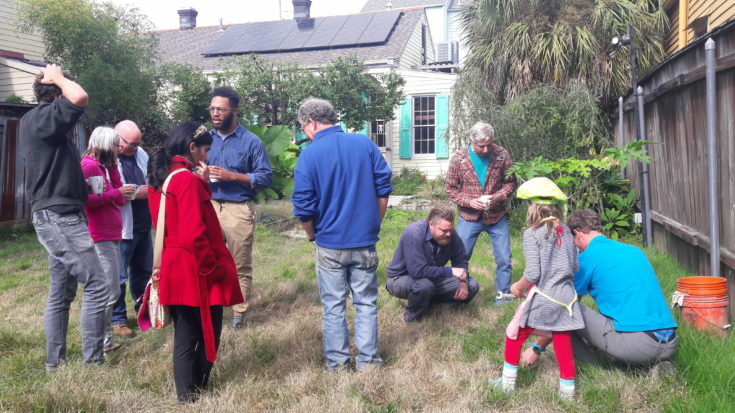 Towards resilient ground water in N.O.